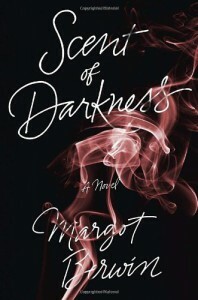 A few weeks ago, I read a short review in Entertainment Weekly for Margot Berwin’s Scent of Darkness. It sounded intriguing and when I found out my local library had a copy, I quickly requested a hold. I can’t describe how I feel about Scent of Darkness because I just don’t know what to say. Berwin’s Scent of Darkness is a coming of age story. Eva grew up with a mother who resented her because she was the product of a one night stand. Being Catholic, her mother didn’t get an abortion and made it her mission to spend little time with Eva. Eva was raised her by grandmother, Louise who is a perfume maker and teaches her about how scents play a central role in our lives. When Louise dies she leaves her house to Eva with instructions never to enter a specific room. The room was Louise’s workshop and Eva honors that wish. One day she finds the boy, Gabriel, from the coffee shop in Louise’s house. He apologizes for breaking in and tells her he’s only there to study because his house is too crowded. Gabriel comes over often to study while Eva spends her time cleaning out Louise’s items. He encourages her to enter the forbidden room and there she discovers a vial of a scent Louise made for her. It comes with specific instructions, “Don’t remove the crystal stopper, Evangeline, unless you want everything in your life to change.” Eva does remove the stopper, places a drop of the vial on her skin, and changes her life. Gabriel suddenly is interested in her and even she realizes it was the vial and the scent she now has. Everywhere she goes people cannot help but stop to smell her and can’t get enough. Gabriel suggests she go with him to New Orleans, where he is attending medical school. While in New Orleans, Eva meets a man who will do anything to possess her and she has to make a choice: him or Gabriel.A majority of the plot takes place in New Orleans and I can’t imagine it set anywhere else. New Orleans and her history with the occult come to life. In terms of character development, it’s a bit weak. I can’t for the life of me figure out the appeal of Gabriel other than his looks. Eva comes off a bit naive and spoiled, but I attribute that to her home life. I also think we need to have an inexperienced Eva to take us through this journey because it is with her, that we experience her life as it happens. We’re given two key clues at the beginning of Scent of Darkness. One of them has to do with the tarot card reading done for Eva and the foreshadowing about a man who is for her and the one who isn’t. I found it interesting when Eva first sees Gabriel because she’s told he’s not the one destined for her and yet the two of them get together. The other clue didn’t make any sense to me at the time, but now that I’ve had a few days to digest it all, it does. I’m not going to say what it is because it’s pointed out and I felt like banging my head against the wall when it all came together.Berwin’s writing is rich and the prose is just beautiful. I found myself rereading sentences because of the prose and the rich details. Eva and Gabriel making love their first night in New Orleans, “Later that night, in bed we made love again. Cats screamed from the courtyard below, the spooky, pornographic, wailing cry of felines in heat.”Eva is bitten by a dog and goes back to the apartment to clean her wound: “Liquid seeped from the puncture holes and dripped into the sink. The drop hitting the porcelain sounded like a boulder in my ear, and with a ferocious intensity, as though it was happing right at the moment. I remembered the sound of Gabriel’s sweat striking the bottom of the white room in Louise’s house. The rest of the blood in my body jumped and shuddered at the sound. I could tell because I saw the veins in my wrist rippling as if they had tiny ocean waves inside of them.”I really enjoyed Margot Berwin’s Scent of Darkness. I’m looking forward to reading her debut novel, Hothouse Flower and the Nine Plants of Desire. 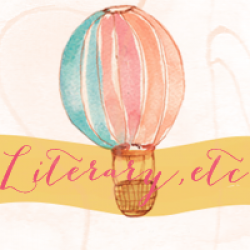 If you’re looking into trying a different genre from what you normally read, I highly recommend Scent of Darkness.Review originally posted at Literary, etc.